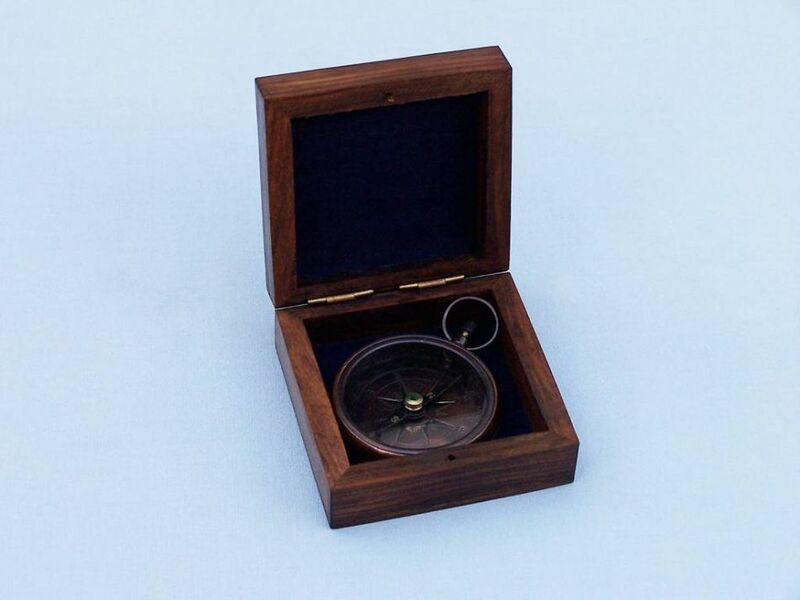 Antique Copper Beveled Lensatic Compass w/ Rosewood Box 4"
Solid Brass Beveled Black Faced Compass 3"
Antique Brass Beveled Lensatic Compass w/ Rosewood Box 4"
A gorgeous work of art in itself, this sleek, stylish solid brass compass makes the perfect companion to any sailor or the perfect addition to any room of the home or office. 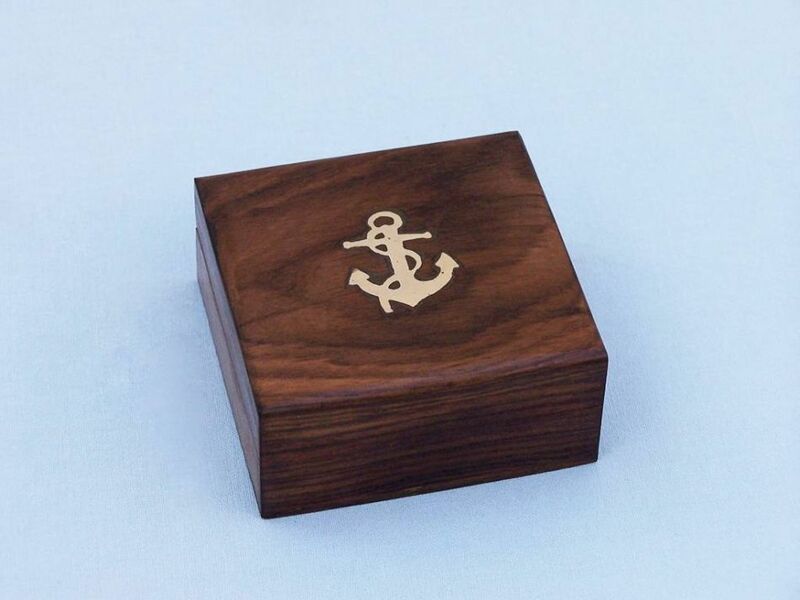 With its gleaming brass construction, both aesthetic and durable, and a classically detailed compass rose, this nautical tool makes a wonderful gift. 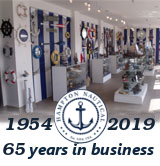 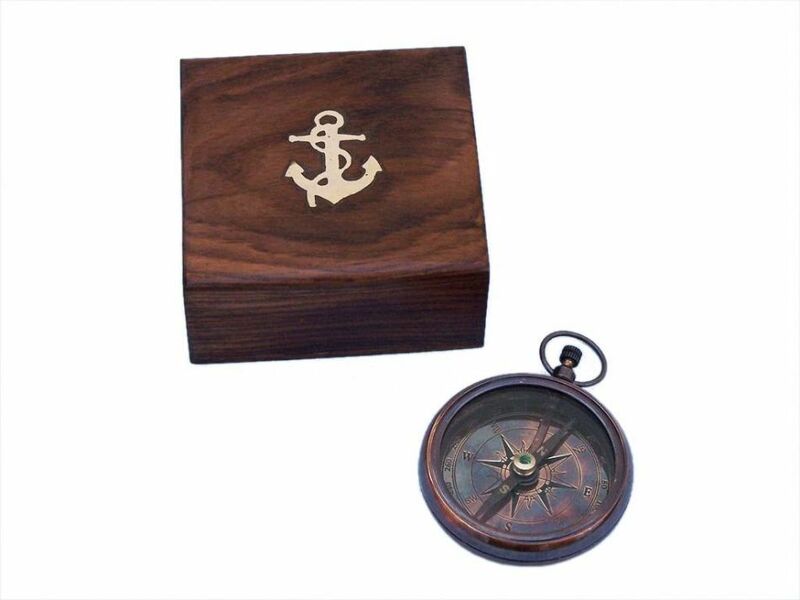 Paired with a beautifully crafted hardwood box, detailed with the solid brass anchor symbol, this compass is both a fully functional tool for sailing the seas and a warm accent to any room’s décor.